Learn how to use twenty-eight popular, easy-to-grow herbs to treat everyday ailments and maintain good health. 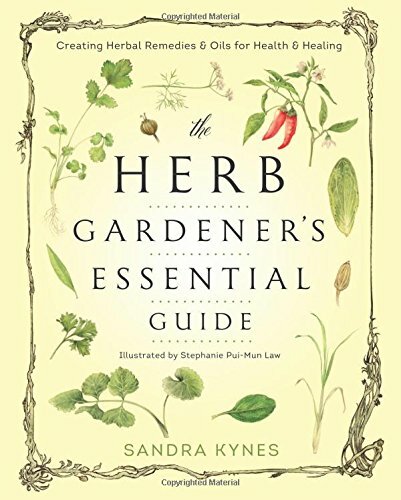 From selecting plants to harvesting and storing them to making remedies and savories of all sorts, The Herb Gardener's Essential Guide presents an abundance of practical and satisfying ways to incorporate herbs into a healthier lifestyle and diet. Utilizing both herbs and essential oils, this beautifully illustrated guide explains how to choose and make the ideal herbal mixture for a wide variety of medicinal and culinary uses. Need help getting to sleep? Try a cup of Thyme to Settle Tea. Add a sweet, spicy flavor to roast meat or vegetables with Coriander Spiced Butter. Ease muscle pain and stiffness with soothing Rosemary Warming Massage Oil. Featuring an ailments-and-issues guide, instructions for creating a personalized apothecary garden, and detailed profiles for each of the herbs, this accessible book belongs on every gardener's shelf.